“The whole problem with the world is that fools and fanatics are always so certain of themselves, and wiser people so full of doubts”, said the British philosopher Bertrand Russell. Business creates and sustains jobs, provides families with financial security, and helps fund essential public services such as the NHS. So why does it get such a bad reception? From politics and the media to the arts and culture, business is often a dirty word, best not spoken. This is as true globally as it is in the UK. In 1973 Stanford Professor Mark Granovetter’s “the strength of weak ties” argued that weak links, between people with different opinions help new and unfamiliar ideas spread. In his Budget, the chancellor Philip Hammond announced forecasts from the Office for Budget Responsibility (OBR) that the British economy will grow by 1.4 per cent in 2018, below previous forecasts of a 1.6 per cent expansion. The reason? “Regrettably, our productivity performance continues to disappoint,” said Philip Hammond. Research from Ipsos Mori, the market research company, indicates many in politics and the media believe that businesses have a licence, or even an obligation, to speak out on important, and perhaps controversial, socio-political issues. But if companies are considering taking a stand on a big social or political issue, what do they need to consider to get it right? Capitalism is under threat and companies now face a more hostile environment in which to do business than at any time in the last 40 years. A study by the Legatum Institute, a think tank, and Populus, the market research company, found that there is widespread support for Labour’s nationalisation agenda and much less support for free enterprise. For advocates of free enterprise, anyone who runs a business, and, as should be the case, is merely employed by private enterprise, the report makes sober reading. 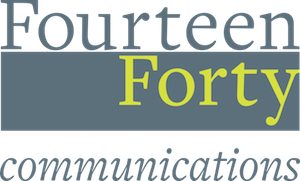 A new communications consultancy, Fourteen Forty, has launched to help businesses connect in better ways with the range of people, influencers and interest groups on whom their success depends. In doing so, it will also set out to make the case for business as the country’s wealth and job creator. Is big business really the big bad wolf? The big bad wolf is the archetypal menacing predator. Preying on the weak and vulnerable, he has few, if any, redeeming features. For many, this is how they see big business. Recent research by the Legatum Institute showed that the British public holds an unfavourable view of ‘capitalism’ as a concept, viewing it as ‘greedy’, ‘selfish’ and ‘corrupt’. A vast majority, according to the research, would like to see many industries, and the big businesses within them, nationalised.